What is an After-Sun Spray? An after-sun spray is a healthful body spray used to cool and refresh the skin after spending time in the sun. 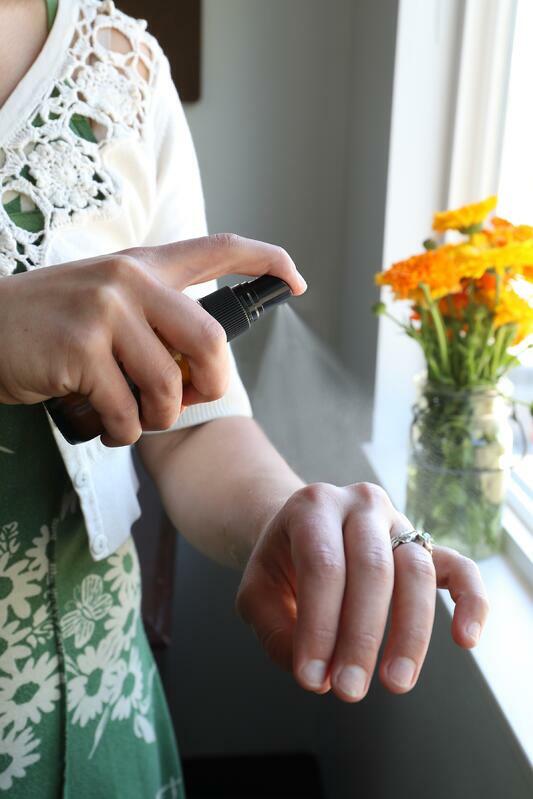 Just like a tall glass of cool water can be taken internally to rehydrate and lower body temperature, an after-sun spray is used topically to bring moisture and relief to thirsty skin, but with the added health benefits of organic herbs and all-natural botanical ingredients. 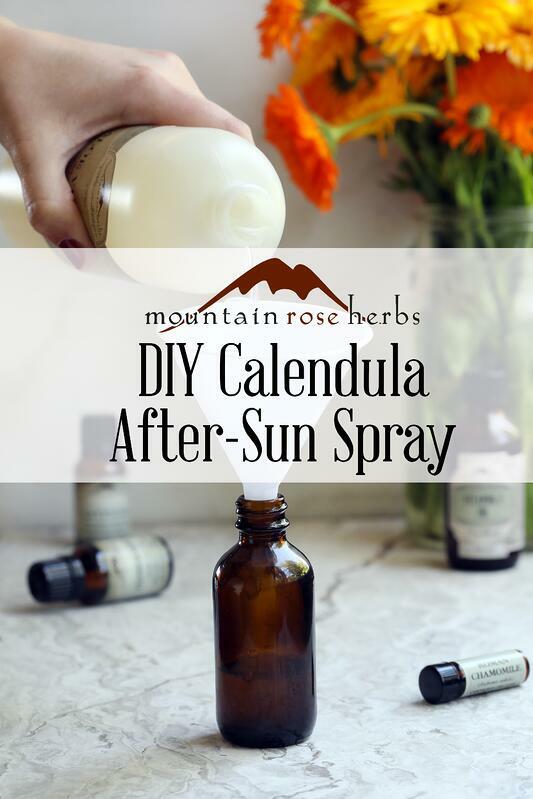 After-sun sprays are great for when your skin feels a bit heated or slightly irritated. If you put your after-sun mixture in a bottle with a fingertip mister, then all you need to do is apply the mixture as if it were a body spray or toner (but avoid eyes and sensitive areas), and reapply as needed. You can also use the after-sun blend as a compress by soaking a thin wash cloth in the mixture and holding it on the skin. Keeping it refrigerated will make for an extra refreshing after-sun relaxation session! 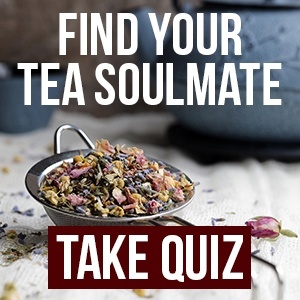 Fill a jar half full with a mixture of equal parts green tea leaves, calendula flowers, lavender, and cleavers. Pour witch hazel extract over the herbs and fill to the top of the jar. Secure lid, shake well, and allow to infuse for 2 to 4 weeks. Strain into pantry jar and label for future use. 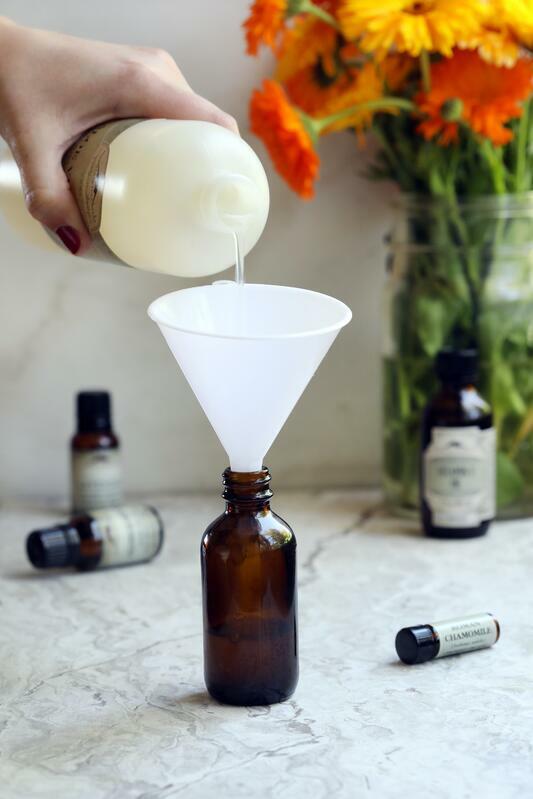 Mix 4 ounces of the your homemade herb-infused witch hazel extract with your chosen hydrosol and aloe vera gel in a spray bottle. Secure lid, shake well, and spray generously on skin as needed. Avoid contact with eyes and other sensitive areas. IMPORTANT: This spray may help deal with the odd occasion of over-sunning, but it is NOT an excuse to forget about sun safety! We encourage everyone to take appropriate UV protection precautions whenever possible, such as limiting periods of direct exposure and wearing protective coverings. Want to Make More Flower-Powered Skin Recipes? 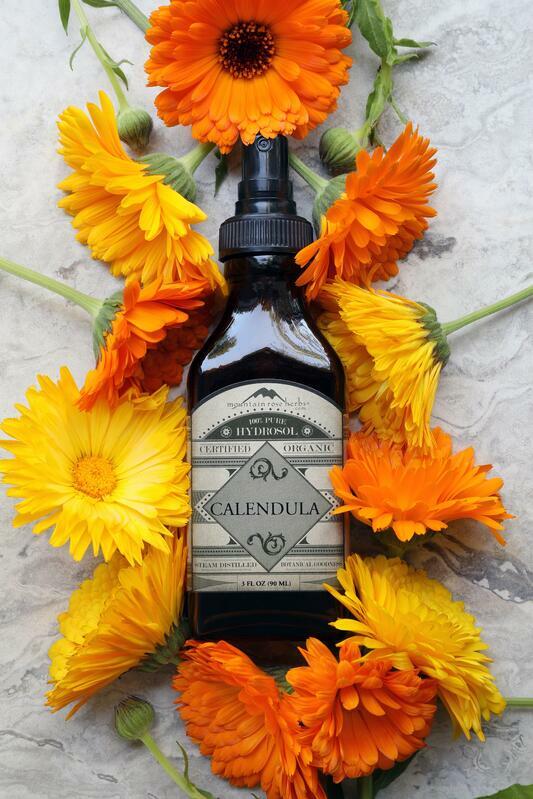 Here's How to Make Calendula-Infused Olive Oil!